Spec sheets are laden with alien terminology like ISO and F numbers, and once you manage to get a grasp of what those mean, you’re still confronted with a spectacular variety of options. To help you navigate your way through this quagmire of excess information, we’ve put together this guide. It’ll enlighten you about which specs are important when, and what cameras are suitable for whom. Sound good? Then read on! 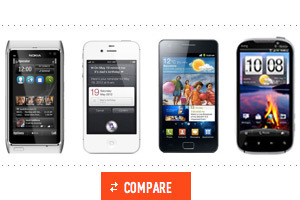 As with our smartphone buyer’s guide, you should be careful not to treat this as a definitive dictum on what to buy. What we’re seeking to do here is help you make an informed decision by separating the meaningful data from the meaningless. This is a guide to discerning the things that will make a recognizable difference in your photographic experience and results. We’ve selected a few of our favorite cameras in the categories below, but those will change over time, whereas the rest of this advice will (hopefully) remain relevant for a long time to come. Every camera, from the tiny webcam embedded in your laptop’s display to the full-frame pro cameras built by Nikon and Canon, operates along the same set of basic principles. You can discern those from the very name of photography, whose roots are the Greek photos, meaning light, and graph, meaning to draw or record — ergo, a photograph is in its essence a map of light. When you take a picture of your favorite cityscape, you’re not actually documenting the streets, or the skyscrapers, or the milling crowds — you’re drawing up a recording of the light reflected off them. The most common technique for achieving this recording is by channelling light through a lens onto a photosensitive material that soaks it up and turns it into an image. That light-absorbing canvas was once film, which has since given way to electronic sensors in modern digital shooters. In either case, initiating the light capture is done by opening a shutter in front of the photosensitive surface. By adjusting how long that shutter stays open (shutter speed), the sensitivity of the digital sensor (ISO), and how much light passes through the lens (aperture), you get the majority of your control over an image. Light is your ally, darkness your foeSince light is the only information your photograph collects, it should come as no surprise that well-lit scenes typically come out looking sharper and nicer than dark and moody shots illuminated only by a streetlight. The former just gives you more information to work with. When shooting in the dark, the camera must work either harder (with higher ISO that can lead to unsightly graininess) or longer (with a slower shutter speed that can cause motion blur) to properly recreate the image in front of it. That’s where the invention of the flash comes in, providing a strobe of white light synchronized with the opening of your shutter, though it comes with tradeoffs of its own. The strength of the flash can oftentimes wash out fine detail in nearby subjects or lead to the infamous red-eye effect. Tripods are also invaluable in counteracting blurring caused by the photographer’s hand, but they can do nothing about motion within your composition and are not exactly portable. There are a number of other considerations to take into account when composing an image — and, consequently, choosing the best camera for the job — which we’ve detailed below. Once you’ve wrapped your head around what they will mean for your intended photography adventure, you should have a good idea of the kind of camera that will best suit your needs. As Bruce Dickinson might say, I’ve gotta have more light! For some help calculating the depth of field for your chosen camera, aperture setting, and focusing distance, you can use Simple DoF on iOS or DoF Calculator for Android. If you’re new to digital photography, the three things you should acquaint yourself with first are the ISO, aperture, and shutter speed. The three work in concert, and if you can manipulate and control them all, you’ll take fabulous photos without even touching the rest of your camera. Together, they’re known as the Exposure Triangle, because they control how much light you’re exposing the camera to (aperture), how sensitive the camera is to that light (ISO), and how long your exposure lasts (shutter speed). Coming from the International Organization for Standardization, ISO (it’s not an acronym) describes the light sensitivity of your camera’s sensor set against a common standard. 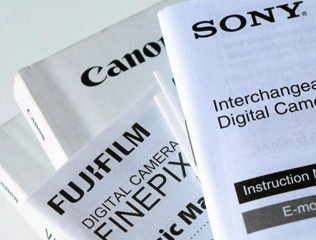 It was originally known as “film speed,” as it was a static measure of the amount of light a given type of film could absorb, but in modern digital cameras ISO can be adjusted up and down. 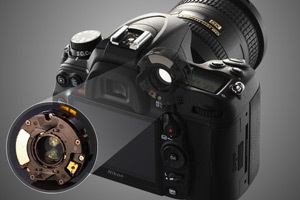 Higher ISO means a brighter image, which is achieved by digitally amplifying the information collected during exposure. It’s an imperfect process that generates errors, which become apparent in your pictures as discoloration and noise — the unattractive speckling effect you usually see in low-light photos. The quality of your camera’s sensor and noise-reduction processing will affect the maximum ISO at which you can produce images that are still worth using. From among the cameras we’ve tested ourselves, Nikon’s impressively large and expensive D3s is far and away the best in that respect. It can shoot at ISO 12,800 the way most cameras perform at ISO 1000, allowing you to keep shooting under significantly lower light. Measured using the horribly confusing F number scale, the aperture is another of these dead simple settings that tend to upset young children with their obtuse nomenclature. Basically, most lenses have the ability to constrict the light that passes through them using an internal element (called a diaphragm), which can be extended and retracted using controls on the camera. If you want more light in your image, you pull that diaphragm back as far as it would go, or if you need less, you extend it and limit the incoming rays to a narrower, more focused hole. Aperture, therefore, is just a relative measure for the diameter of your lens opening. All you need to know with respect to f-numbers is that lower ones indicate a wider aperture, with f/2.8 and below being the extremes, while higher ones signify more light is being blocked. Just think of the Aperture Science logoIf light is of paramount importance, you might ask, why would you ever want to constrain its entry into the camera? Well, a side effect of a wide open lens is that it lets in a lot of unfocused light rays. The result is that you get a shallow depth of field, which is to say that anything in front of or behind the area on which you’re focusing will appear blurry. That’s generally a desirable trait in photography, as it isolates your subject from its surroundings and lets you guide the viewer’s eyes, however it can be a problem when you want to have everything in your scene in focus. 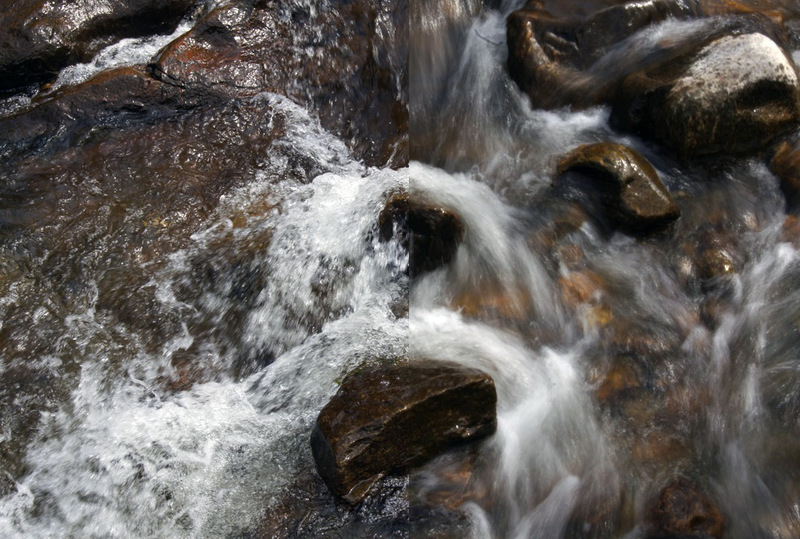 As the photo above shows, wide aperture settings tend to constrict the in-focus area to a razor-thin sliver, particularly on nearby subjects. The obvious countermeasure is to tighten up the aperture to f/8 or narrower — that bundles up the incoming light into a more focused beam, which will result in greater depth to your focus area. Do bear in mind that the most extreme depth of field effects are the exclusive preserve of large-sensor cameras; you simply can’t achieve the same defocusing effect with smaller sensors, which retain a generous in-focus depth even at f/1.4. Shutter speed is as key an element to getting good photos as any. It controls how long the camera spends collecting light, as opposed to ISO and aperture, which control how much light is absorbed at once. It’s measured in fractions of a second, so a shutter speed of “1/125″ means the shutter is open for one 125th of a second. Higher shutter speeds mean the camera captures a shorter period of time, which is key for getting blur-free action shots, while lower speeds allow you to soak up more light, albeit at the risk of blurry results if your camera and subject aren’t still. Of course, you don’t always have to fear motion blur. Strap your camera to a tripod and you can exploit the blur to your advantage — that’s how the pros create those pictures of highways decorated by streaks of light or the waterfalls that look like they’re composed of cascading wisps of smoke instead of water. Most of the time, you’ll want to match your settings to your circumstances, but it’s also good fun to sometimes start with a given set of attributes and rearrange your scene to match them. The trifecta above are the most important controls on your camera, but there are other attributes you need to be mindful of in the pursuit of the best image quality. Most professional photographers will tell you that the paramount determinant of image quality is the lens. You can tweak your settings as much as you like, but without a truly sharp piece of glass to filter light through, your pictures will never look their best. The distinction between sharpness and softness in imaging is one of detail: sharp photos retains a clear separation between edges and colors right down to the pixel level. Unfortunately, nobody has yet invented an easy metric for quantifying lens quality, so you won’t be able to simply walk into a store and order up the Superlative Edition of your favored lens. Part of the problem is that lens performance varies both with aperture and zoom level. The sharpest lenses at f/4 are typically f/1.8 or f/1.4 lenses that have been pulled back from their highest setting. Similarly, lenses start to exhibit distortion at the extreme wide (16mm and lower) and telephoto (135mm and above) ends of their zoom range, which some cameras are able to automatically correct for with software. Lenses are like sunscreen: all-importantThere are a couple of easy guiding principles that can steer you in the right direction. Firstly, construction materials matter. Canon’s L series of lenses and the higher end of Nikon’s Nikkor line are both built out of real glass on the inside and extremely robust materials on the outside. The kit lenses bundled with DSLRs and the non-removable ones on cheaper cameras are made from plastic both on the inside and out, which makes them less reliable in the long term and less awesome when you come to review your results. That’s not a universal rule, there are some exceptionally good lenses with plastic optics, but generally, you’ll be able to tell a good lens by its considerable weight and durable feel. The second point to remember is that prime lenses — those without a zoom function, whose focal length is fixed — tend to perform better than zoom lenses, owing to their simpler construction. For the absolute best results, you’ll want a camera capable of exchanging lenses, together with wide-aperture lenses at each of the most common focal lengths: e.g. 24mm, 50mm, 80mm, 100mm, and 200mm. That’s more than a backpack’s worth of gear to heave around with you (and quality glass weighs quite a bit anyway), so do it only if you’re unwilling to compromise on sharpness and flexibility. A common misconception people have is that shutter lag actually has anything to do with the shutter. Oh sure, there’s a minuscule delay between the instruction to open and the shutter actually opening, but the lion’s share of lag actually comes from the automated focusing and metering systems. Metering is what the camera does to judge how long it needs to expose the image for, while autofocus is a little more self-explanatory. Cameraphone makers have gotten wise to the fact people want to see the picture taken the moment they press the button, so we now have phones like the Amaze 4G that continuously refocus and re-meter the scene so as to be ready at a moment’s notice. Nikon has gone one step further with the introduction of Smart Photo Selector in its new 1 Series: it shoots up to 20 photos while you have the shutter button half-pressed and automatically selects the best five after you take your picture. Neither Nikon nor HTC’s solution is ideal. They’re trying to dodge the problem of focusing speed, but the only true solution is more focusing points on your camera combined with a faster focusing motor for the lens. The reliability and quickness of autofocus, particularly in low light, is one of the ways in which professional cameras still stand head and shoulders above the rest. Canon’s recently announced EOS 1D-X packs in a whopping 61 AF points, with 41 of them being of the more precise cross-type variety. Stick a fast-focusing lens on that camera and you can bid adieu to shutter lag. If there’s one rule to follow in photography, it’s that cameras with larger sensors take better photos. That’s a generalization, of course, but it’s based on a very basic empirical truth: the bigger the photosensitive surface area, the more light is taken in at a time. Practical evidence for this is abundant, from the Nikon 1 series that disappointed everyone with its undersized CX sensor, to the Nokia N8, which remains the smartphone camera champion today thanks to its class-leading 1/1.83-inch sensor. Full-frame cameras derive their name from the size of their sensors, which match the “full frame” of 35mm film, and are predictably the professionals’ favorite choice. With a full-frame camera, a 24mm lens gives you exactly that focal length, whereas with smaller sensors, you’re subject to a crop factor that tends to turn everything into a slightly more zoomed-in version of itself (i.e. 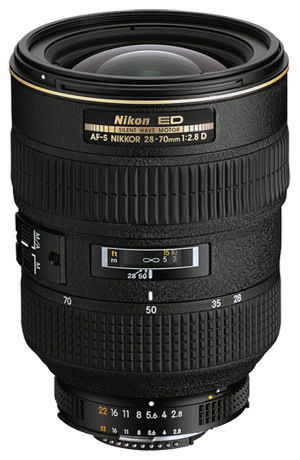 if the sensor is 1.5 times smaller than full-frame, as with Nikon’s popular DX format, you get 1.5 times the focal length; with a 24mm lens, that’d mean an effective focal length of 36mm). Bigger really is better when it comes to camera sensorsAlas, pricing and sensor sizes scale rather proportionally, so medium format and full-frame cameras are usually outside the reach of most enthusiasts, which is why the most popular digital SLRs today feature the APS-C format. It’s a happy compromise. Strictly speaking, a megapixel is one million pixels, but it’s somewhat meaningless to know that your camera shoots 10 million pixels at a time. What you want to know, and what the megapixel count truly tells you, is how big you can make your image without having to enlarge it digitally (and suffering the resultant degradation in image quality). A 3-megapixel photo is more than dense enough to be printed out at the US standard 6- x 4-inch size at 300ppi, while 9 megapixels get you closer to a regular sheet of paper at the same density. Compromise a little on the pixel density, say down to 200ppi, and you’ll get massive printouts from a humble old 12-megapixel shooter. Now, there are no guarantees that the actual photo would look good — megapixel numbers only measure the number of data points recorded by the camera — but at least you’ll be able to do it. Practically speaking, however, you’re not likely to need such huge images. 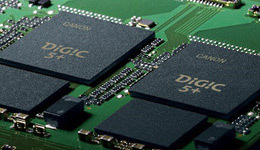 Most digital imaging ends up being consumed on computer screens, and if all you’re needing are 900px-wide pics for Facebook, well, even a solitary megapixel will suffice. If you’re shooting for billboards, murals, or other enormous photo sizes, you should get all the megapixels you can, but for the average photographer, other specs matter more. Optical viewfinders are a funny thing. Until you use one, you wonder why everyone bothers with the effort, then you get your first DSLR and you can’t live without one. Mirrors in SLR cameras reflect the exact image that will be imprinted onto the sensor to a sort of porthole atop the camera, that’s your viewfinder. Once again, the more expensive models offer a more luxurious experience, with the Canon 7D and Nikon D700 featuring bigger, more comfortable viewfinders than entry-level DSLRs. Electronic viewfinders (EVF) are getting much better and starting to compete, particularly in Sony’s line of single-lens translucent (SLT) cameras like the A77, but it’ll take some doing to convince traditionalists to let go of the more natural way. If your camera doesn’t have an optical viewfinder, then you’d better make damn sure it’s equipped with a good LCD. You’ll be using it to both frame and review photos, so any shortcomings in terms of color fidelity or resolution can force you into a guessing game you don’t want to play. LCD resolution is measured in dots, with 230,000, 460,000, and 920,000 being the typical values. 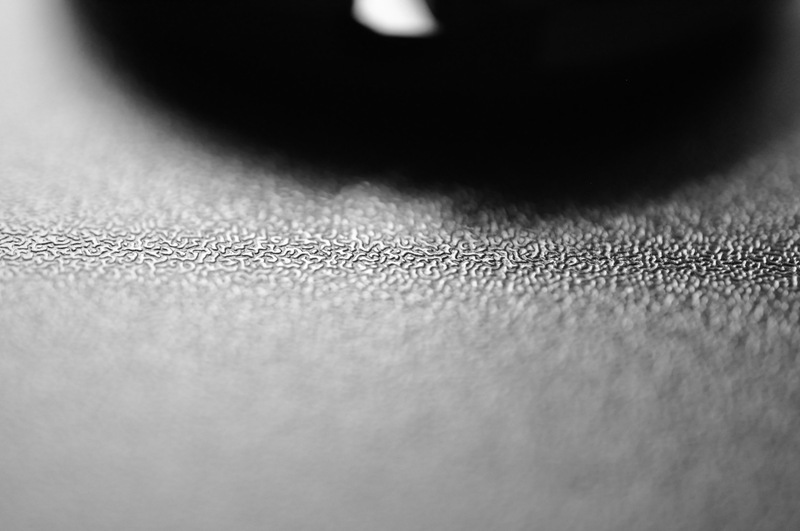 The more dots the better, obviously, but do take a moment to check out the quality of the screen as well. Sony and Samsung are using OLED displays in some of their latest cameras, which look fantastic. As for touchscreen functionality, we’ve yet to see anyone pair it with a reasonable control scheme on a camera, so we’d advise skipping it. Zoom is a simple concept — it’s how close you can get to whatever you’re shooting, without having to physically move closer — but it’s not always obvious what you’re really getting. The actual x-multiple of your zoom is much less important than the angle measurements at the widest and closest settings, which measure how much you can fit into your photo. A camera that starts at 28mm and has 10x zoom will ultimately get closer (280mm) than one that begins at 24mm (240mm when zoomed in), though the tradeoff is a smaller field of view when you’re zoomed out. If you want to be as close as possible to your subject, the most important number is the telephoto angle, more so than the x-multiple. But be warned: cameras with huge zoom tend to be hard to hold steady when zoomed in, so getting sharp photos might be tough even with the best image stabilization. 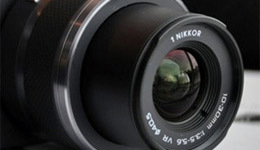 Additionally, as discussed above, the more flexibility you gain with zoom, the less likely you are to get the highest image quality — lens makers have to compromise on something, so if you’re going after a massive zoom range, bear in mind that it won’t deliver sublime images the way a fixed focal length might. 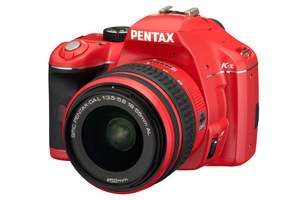 When it comes to zoom operation, fixed lens cameras have the upper hand. They usually have powered zoom mechanisms, allowing you smooth control at the press of a button. Interchangeable lenses are more fiddly for the newcomer, as their zoom is usually (but not always) controlled mechanically with a ring around the body of the lens. That gives more granular control to those want it, but can be offputting to the casual user. Finally, do yourself a favor and ignore the very idea of a “digital zoom.” It’s done either by enlarging the picture (and reducing its quality) or cropping down to a smaller area of the sensor, both of which you can do much better with dedicated post-processing software on your computer. As with digital zoom, digital image stabilization (IS) is more marketing ploy than a useful feature. The optical stuff, however, is a whole other story. Lenses with optical IS are equipped with internal elements that move in the opposite direction to any small movements you make, steadying the image that arrives onto the sensor. Nikon’s Vibration Reduction, demonstrated above, is particularly effective, allowing you to shoot at two or three steps slower shutter speed than you usually would be able to without motion blur. For example, if 1/40 shutter speed is your floor before you start seeing blurring on a regular lens, its VR version will move that down to 1/25. 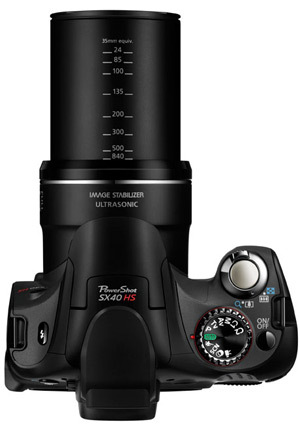 Canon’s version of this is called Optical Image Stabilizer, Panasonic’s is MegaOIS, and virtually every other camera and lens maker has a variety too. Sony and Olympus have made a habit of building image stabilization right into the body of their DSLRs, simplifying lens design and reassuring users that all of their lenses will be stabilized. Ultimately, whichever system you choose, they all serve the purpose of reducing the deleterious effects of unintended motion and should be considered highly desirable in a camera purchase. If you’re going after a shooter with a long telephoto zoom, optical IS should be the first thing you look for. It was only a few years ago that video recording was considered a novelty in still cameras, but today HD video is a standard, and expected, feature. Still, there are pitfalls to beware, such as a selection of cameras that will lock the focus and zoom when video recording starts (e.g. 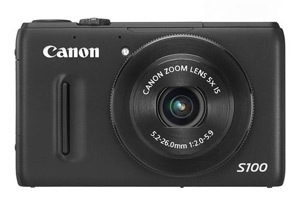 the otherwise excellent Canon S95), significantly limiting your options. Reliable autofocus, in the cameras that are capable of it, remains a mirage. You’ll do well to learn to love manual focus if you want your videos to be free of the irritating focus jumps that cameras do when they get confused as to what you’re trying to film. 1080p HD video is fast becoming a standard feature in still camerasCameras with larger sensors make capturing video a harder process than with simple point-and-shoots, owing to their greater sensitivity, bulkier bodies, and typically mechanical zoom and focus mechanisms. They give you more to worry about, as lens operation noises are often picked up by the integrated microphone, however they also provide access to a range of cinematic effects that smaller cams cannot touch. Want to start your movie masterpiece with a gorgeously circular bokeh that gradually comes into focus on your leading man? You’ll need something in the class of a Canon 60D with a wide-aperture lens to match. All lenses have a point after which, if you get any closer to your subject, it won’t be in focus no matter how hard you try. 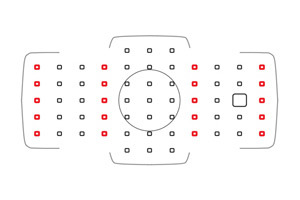 Termed the minimum focusing distance (MFD), this is a specification that’s usually printed on the lens itself. It’s measured from the image sensor — not the front of the lens — to the subject, so it’s usually a less severe limitation than you might first think. MFD is actually one of the few advantages of smaller-sensor cameras: cameraphones and point-and-shooters can get really close to the subject, whereas interchangeable-lens cameras usually need a minimum clearance of at least 25cm / 10 inches. Macro lenses are designed specifically with the goal of cutting that distance, some dropping it as low as 16cm (essentially allowing you to press the lens up against the thing you’re shooting). The important thing to be wary of is that telephoto and long zoom lenses typically demand a long MFD, somewhere in the region of 45cm, meaning they’re not as flexible as they might initially appear to be. Like a big name actor that’s too important to sit in the middle of the cast list but not so crucial as to headline the show, we’re dedicating our last slot to the camera’s white balance (WB). This is the function that everyone leaves on auto, which is why the majority of indoor pics on Facebook look yellow. In simple terms, cameras are a bit dumb. If you don’t tell them that you’re under incandescent lights (which cast a yellow hue), they won’t account for it and will try to balance the colors before them based on their presets. All modern cameras have a WB preset for artificial lighting, but only the more professionally inclined ones give you granular control over white balance and easy access to tweaking it on the fly. The best solution we’ve found for overcoming unnatural color tinging is to feed your camera a sample image. 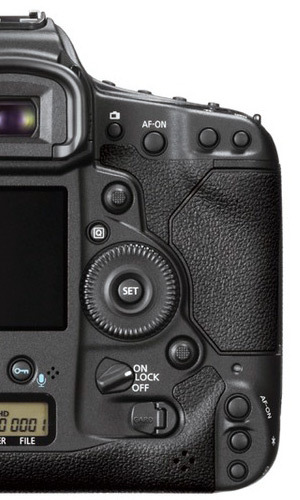 The majority of DSLRs now have the option to set WB by taking an image of something that you know is white under the particular lighting conditions you intend to shoot in. Thus, when the camera snaps a nice white sheet of paper under the lurid orange and violet lights of a trade show floor, it’ll calibrate itself to know that white looks a little different at that spot. 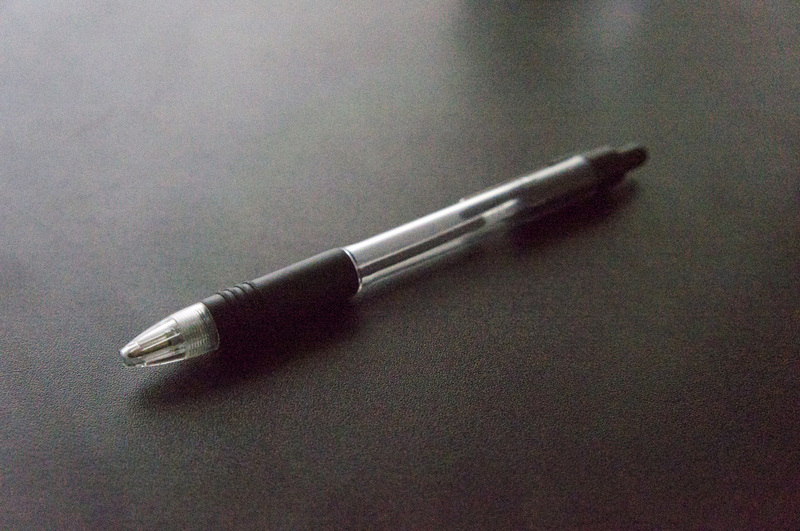 Among phones, the Nokia N8 has unmatched image quality. Unluckily for the N8, however, the central allure of cellphone photography isn’t quality, it’s convenience. The N8 is bulky thanks to its enlarged sensor and unwieldy to operate due to its Symbian OS, essentially reducing it to a point-and-shoot camera with a built-in 3G radio. What you really want from your phone is a camera with quick operation, reasonable image quality, and an effortless interface for uploading pictures to the web. That’s the purpose of a cameraphone, after all: sharing pictures as quickly and as easily as possible. Flickr’s most popular camera, of any type, has been the iPhone 4 for a number of months now (though it looks likely to be succeeded by the iPhone 4S and its upgraded 8-megapixel sensor and five-element lens). Thanks to dedicated apps for image uploading and things like Twitter being plugged right into the gallery view, sending photos out to the web has never been easier. Android offers no fewer sharing options than iOS, and Microsoft’s Windows Phone OS is similarly adept at serving the need for quick picture taking and sharing. The limitations of cameraphones are numerous and generally well known. Firstly, you get no optical zoom option. Most phone cameras are set at wide focal lengths like 28mm or 35mm in order to capture large group shots and landscapes. There’s also no optical image stabilization, which is a bigger issue when shooting video than stills. 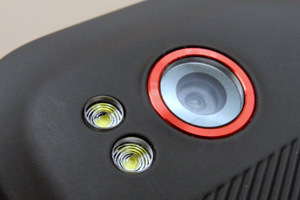 Additionally, although constantly improving, the miniature sensors in cameraphones continue to lag dedicated shooters in low-light performance and dynamic range. 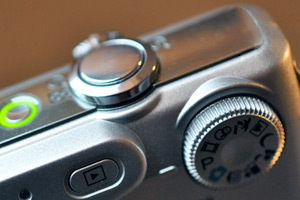 Point-and-shoot (P&S) cameras are small, cheap, and easy to use. 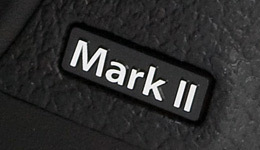 As the name implies, you’re meant to take it out of the box, point it at your subject, and shoot. These cameras’ manufacturers typically assume you’ll be shooting in Auto mode and won’t be worrying about things like aperture and shutter speed. That makes the camera easy to operate, but the flip side is that if you want more refined control, you’ll have to dig around inside a stratified labyrinth of unhelpful menus. If you’re just learning how to use a camera, or don’t want to have to think about your photos, a point-and-shoot is a great option — their pocketability is just a bonus. Picking a point-and-shoot presents you with a very wide range of features to choose from: some emphasize zoom, others promote manual controls, and still others offer extras like GPS or touchscreen functionality. Software sophistication is also growing, with litanies of automatic and creative modes, though we find the great majority of them to be mere gimmicks. Given the choice, you should always aim for the best sensor and lens, as nothing will give you quite as much satisfaction as sheer image quality, with added features being of secondary concern. We’d wager that the most-wanted feature on a camera is more zoom — that’s how you get closer to the action on the field and closer to the details you really want to see in photos. Camera makers heard that, and have started building cameras that are basically point-and-shoots, but with huge zooms (some as high as 20x and 30x). There are tradeoffs, as always: superzooms tend to be expensive and are usually quite bulky, particularly when you consider that their sensors are rarely larger than your typical point-and-shoot snapper. Exceptional versatility that comes at a priceSuperzooms fall into the informal category of bridge cameras, which tend to look like shrunken-down DSLRs and aim to occupy (or “bridge”) the gap between compacts and more professional equipment. Not every bridge camera has a stupidly long zoom, and we’d argue the whole effort of dressing up small-sensor cameras with pro features is delusive, but at least now you know what to call those hybrid-looking things in the store. Ultimately, a superzoom sacrifices quite a lot to earn its title, however if you’re pursuing the highest optical magnification of distant subjects, they’re your best option outside of ridiculously large and expensive telephoto lenses on DSLRs. As we mentioned in the zoom section above, not all zoom is created equal. 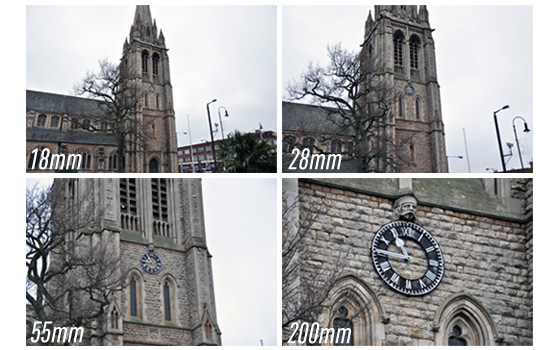 When you’re shopping for a superzoom, check the millimeters on the wide and telephoto angles to see how close you’ll really be able to get. For a more versatile camera, don’t get anything with a wide angle higher than 28mm, but for the most zoom possible get the highest telephoto number you can find. Because of its relative novelty, this category of camera still hasn’t settled on a standard definition; some people call them EVIL (Electronic Viewfinder Interchangeable Lens), others refer to them as ILC (Interchangeable Lens Camera). We prefer the term ‘mirrorless’ as it most aptly describes their relationship to DSLRs: these are large-sensor cameras, just like DSLRs, but without the pentaprism required for an optical viewfinder. In removing that big bulk from the body, cameras like Olympus’ PEN and Panasonic’s G series have brought the high quality of DSLRs into a form factor not much larger than pocket cameras. Those two companies were the ones that got this entire movement started with their Micro Four Thirds (MFT) system, but it is Sony that truly delivered on the promise of mirrorless cameras with its NEX range. Unlike MFT, which uses slightly smaller sensors than DSLR cameras, Sony’s NEX line is built around APS-C-sized imagers, with the latest NEX-5N matching the image quality you can get from midrange DSLRs like the Canon 60D and Nikon D7000. It’s hard to overstate how good the NEX-5N isHaving interchangeable lenses makes these cameras significantly more flexible than fixed-lens point-and-shoots, although lens selection remains paltry compared to the mature DSLR market, which benefits from continued compatibility with older lenses originally designed for film cameras. 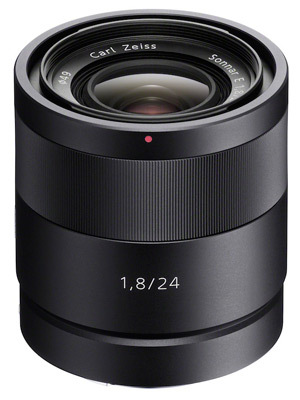 The big disadvantages for the mirrorless category today are the high prices and the fact that you’ll have to commit to a brand (you can’t exchange Sony E-Mount lenses with Olympus PEN lenses, for example) before you truly know which will have the best lens ecosystem. We’re huge fans of Sony’s NEX-5N and consider it an easy leader in the category, but you’ll do well to check out Samsung’s NX200, which also comes with an APS-C-sized sensor. Other competitors in this space, like Nikon’s 1 Series and the Pentax Q, simply lack the image quality to be worth investing your time and money into. Mirrorless cameras are evolving at arguably the fastest pace of all camera types and are looking increasingly likely to supplant entry-level DSLRs for people looking for the best balance of quality, flexibility, and price. 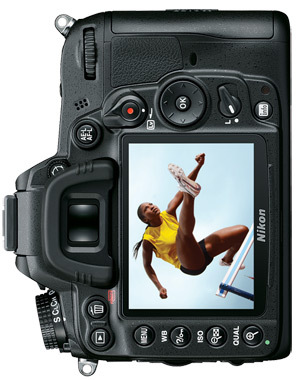 2012 is set to keep the momentum going, as Nikon will inevitably seek to improve on its underwhelming 1 Series debut, while Sony, Panasonic, Samsung, and maybe even Canon continue to work toward ever smaller camera bodies and higher-quality sensors. The biggest step up most photographers will ever make is from a point-and-shoot camera to a digital single-lens reflex camera, or DSLR. DSLRs are so named because of a mirror system, called a pentaprism, inside them that allows you to see through the lens with the camera’s viewfinder, and then flips up and out of the way while taking a photo. The flipping action is the ‘reflex’ in their name. We’ve already touched on the manifold advantages of these cameras: their APS-C sensors offer the best price-to-performance ratio, they come with fast autofocus and true optical viewfinders, and if you buy a Nikon or Canon body, you get access to a cornucopia of lens choices. 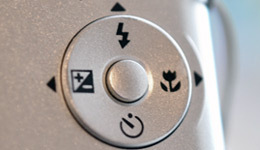 Manual controls are generally more accessible too, with dedicated dials (photographers love knobs and dials) and buttons for specific functions. DSLRs run a huge price range, with speed, build quality, and video recording capabilities accounting for most of the differences. A DSLR typically has a much longer lifespan than a less expensive camera, both because of its higher build quality and the versatility derived from its interchangeable lenses. Unless you’re a pro needing to upgrade to the best equipment as soon as it becomes available, you’ll find a good DSLR will serve you extremely well for a long time. You might prefer to pick your favorite lens system first, camera body secondWhen you choose a DSLR, you should choose not only the camera you need now but the camera you’ll need years from now, since you won’t be upgrading any time soon. Lens selection is also incredibly important — some might even argue that you should pick your lens first and then find a body that will fit it. Unlike almost any other segment of the technology market, lenses aren’t sold with built-in obsolescence bundled in. Improvements in lens performance or size are constrained by the laws of physics, so keep in mind that when the time comes to upgrade, you’ll probably just be looking for a fresh camera body and keeping your optical equipment unchanged. Canon and Nikon’s dominance in the DSLR category is undeniable, but a wide lens selection isn’t the only benefit of choosing one of them. Today, you can walk into any camera store in the world and you’ll find a replacement lens cap or battery or any other accessory for your DSLR if it’s made by one of the two market leaders. It’s the same sort of reassurance MacBook owners get from knowing that they’ve bought into an extremely well supported ecosystem. 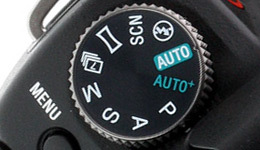 Sony’s SLT cameras can be considered part of this category, even though they do not strictly have the same SLR mechanics. The single-lens translucent technology introduced with the Alpha A55 keeps the mirror locked into place, but makes it partially transparent, so that most of the image filters through to the sensor behind the mirror, and some is reflected onto an AF sensor. The major benefit of this system is that you can use phase-detect autofocus (the faster kind) even while using the LCD to frame shots and during video recording, an advantage over all other types of cameras. SLT cameras are also compatible with Sony and Minolta’s A-mount lenses, so there’s a good selection of glass to choose from. On the downside, however, SLTs are no smaller than DSLRs and lack an optical viewfinder. As we’ve been saying throughout this guide, bigger image sensors usually mean better pictures. That’s why those who want the best DSLR money can buy, opt for a full-frame model. 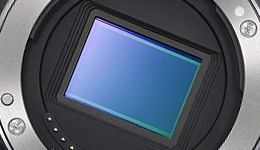 The 35mm-film-matching full-frame sensor is much larger than APS-C, meaning that every pixel has a larger surface area and therefore absorbs more light and information. That, along with added processing muscle in the camera body, is how the Nikon D3s and Canon 1D Mark IV (APS-H sensor) can operate at silly ISO numbers like 51,200 without completely destroying the image they’re trying to capture. Due to their typically enormous size and even more enormous price tag, however, full-frame DSLRs remain mostly the province of those who take photos for a living. It’s impossible not to be impressed by the speed and quality of full-frame camerasIt’s hard to go wrong with a full-frame DSLR, but given the required outlay, it’s worth doing your research. 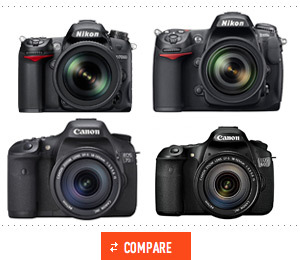 The differences between this top tier and midrange DSLRs are largely the same as those between the midrange and entry level: build quality leaps up (along with weight, unfortunately), more manual controls are added to the body, operation speed and continuous shooting are improved, and video capabilities are expanded. If you’re a video pro, or looking to become one, Canon’s options are hard to beat, but for pure image performance you might end up being swayed by Nikon. Another thing to remember is that compiling your collection of lenses will be more expensive with a full-frame camera, since bigger sensors require bigger lenses. This may all look like an overwhelming amount of information, but things become much simpler once you answer a few questions for yourself. Want simplicity above all else? 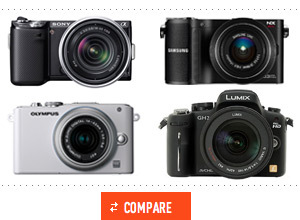 Choose between a good cameraphone and a stylish point-and-shoot. If you’re eager to get bigger and better images without sacrificing portability, take a look at mirrorless cameras. For the best image quality and speed, you’ll be shopping in the DSLR aisle, though we don’t advise jumping straight into full-frame territory. Whatever you do, be prepared to grow progressively more obsessed with light as you get deeper into photography. The intensity, diffusion, and temperature of light is often just as important as your choice of equipment. Filed under Blog and tagged with buyer's guide, camera's, equipment. RSS 2.0 feed.